Just thought all the EU lovers and socialist would like to comment on this! 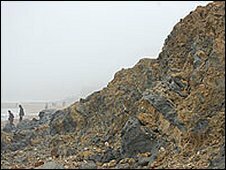 Managed Realignment - which means allowing the shoreline to retreat or advance in a controlled or managed way, either because that is the best approach for a particular stretch of coast, or because the benefits of protection are clearly out of scale with the financial costs. The meeting of the County Council's Overview & Scrutiny Committee today altered recommendations to the cabinet over the proposed secondary school for Swanage & proposals to move St Georges First school in Langton Matravers to a new site. If the cabinet agrees this decision St Georges school is saved - the option for consultation is to retain the school on its existing village site, rather than merging it with St Marks, which would be redeveloped on the existing Middle School site. A hard fought victory was also won for the Education Swanage campaigners; councillors amending the recommendation proposed that Purbeck parents were to be offered the opportunity to be consulted on a proposed split site Purbeck school with a site in Swanage as well as the existing one in Wareham. "This issue has seen members of all political parties working together," said Ros Kayes, Liberal Democrat Parliamentary Candidate for South Dorset, who spoke in favour of both proposals today, " and it's a small victory for local democracy. But it is really a tribute to the tremendous hard work done by the communities in Langton & Swanage who have refused to be beaten by this consultation. They have rallied support round, conducted research that contradicts that of the officials & really challenged the imposition of these changes. They have fought every step of the way & I am overjoyed at the result for them." If accepted by the Cabinet the new proposals will go out to public consultation in January. Only one councillor opposed the changes. "Free Christmas parking at Wareham and Corfe Castle"
Meanwhile the spirit of Scrooge lives on in Swanage town hall. Last year the least used car parks were free for a few days. 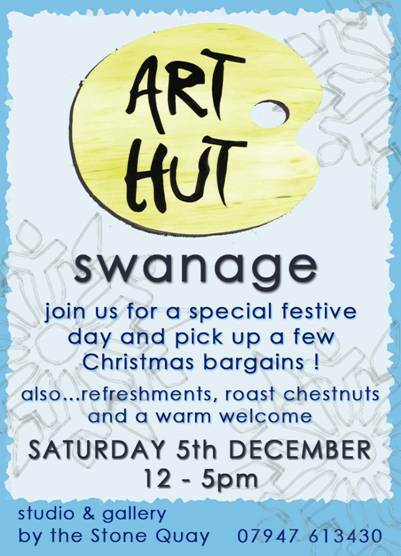 Why not go the whole hog and have a Swanage Humbug festival, ban decorations, trees etc and have a big week long party for all the people who can't stand christmas. Strike a blow against the commercial infantalisation of our lives. Christians would rejoice as this would be the one place where it was a religious festival rather than the feast of shopping, as its know in the god trade. Humanists, sceptics etc would fill our guest accommodation to get away from the xmas horrors everywhere else and of course kids would get even more presents as the money was not going on useless rubbish quite as much as usual. Result everybody wins except the chinese manufacturers of baubles, flashing lights and plastic fir trees. The pleasure of your company is cordially requested this Sunday between the hours of 5pm and 8pm at Bar Se7en - formerly the Victoria Club, 1 High Street, Swanage - to celebrate one year of Live Music Sundays. Music by Steve Darrington and his Band, featuring 'Harmonica' Hugh Budden. Dress: Casual or Fancy Dress with the theme of 'Speakeasy'. Nibbles will be provided. LIFEBOAT crew from Dorset have been deployed to Cumbria to help with rescues during the devastating floods. Two volunteer crew members from RNLI headquarters in Poole and two from Swanage lifeboat station arrived in Cockermouth at around 10pm last night (November 19). Floodwaters have risen to more than eight feet in the town centre, with torrents gushing through the streets at speeds of up to 25 knots. John Deas and Gavin Steeden, from the Swanage station, and Glen Mallen and Lee Firman, from Poole HQ, are Dorset's RNLI men in the flood zone". The things people want to give away! This from 'wastenot, wantnot'. Any other good examples? Due to non-collection i still have 5 size 38DD bras varies colours and style. if anyone can make use of them there is nothing wrong with them and still in excellent condition. please let me know when you could collect preferably today. Nothing it seems on BBC Dorset or the Echo, but reports of a major drugs bust in Swanage on Saturday night. Two pubs raided, arrests made and further arrests continuing today. I'm sure the Police would be glad to learn of any information that might be considered useful. Surf's Up in Swanage !! About 20 surfing in Swanage today [Saturday 14 Nov]say that the waves are as good as Newquay. Free entertainment, watch tomorrow. Any idea what happened at Swanage Middle School this afternoon? Virtual Swanage has reported an explosion. I hope nobody was hurt. A 10-year-old schoolgirl was airlifted to hospital suffering from burns to her hands after a small chemical explosion at her school's science block. Emergency crews were called to Swanage Middle School, Dorset, at about 1630 GMT on Wednesday. The pupil was airlifted to Dorset County Hospital in Dorchester where police said she was kept in overnight for observation. Fire crews spent an hour at the scene where they put out a small fire. Dorset Police said they were called to reports of a possible chemical explosion at the school. A spokeswoman for Dorset Fire and Rescue said they received reports that an explosion had occurred in the science block and that the girl was airlifted to hospital by air ambulance. 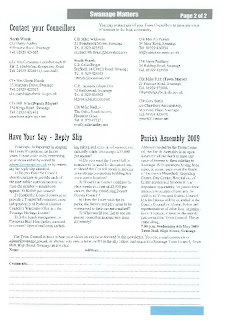 I am looking at something special for 2010, being the tenth year of Swanage blues festivals. Currently I’m in talks to have Charlie Watts (Rolling Stones) play in Swanage on Thursday 4 March 2010 as part of the ABCD of Boogie, with Axel Zwingenburger (German concert pianist); Ben Waters (boogie woogie pianist, Weymouth-born and Owermoigne resident); and Dave Green (Jools Holland’s double bass player). They’ve appeared on Jools Holland’s TV show several times. If you are interested in tickets for the concert, please let me know approximately how many tickets you might require at around £15 each, to give me an idea of numbers. Email to s.darrington@btopenworld.com, or drop a line to Steve Darrington, Swanage Blues, c/o T I C, Shore Road, Swanage BH19 1LB. Thank you. 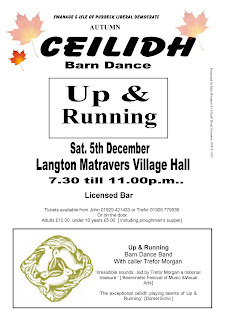 You're invited to a 'ceilidh' at Langton Matravers Village Hall on 5th December, 7.30pm to 11pm. Adults £10, Under 16s £5, to include ploughman's supper. Tickets available from John 01929 421433 or Trefor 01305 779936 or on the door (if there's still room, of course). Swanage Town Council response ?? 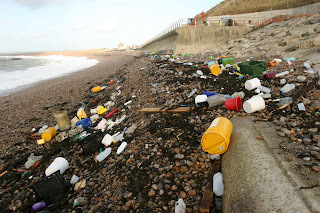 Are we going to hear what the Swanage Town Councils response is to the Core Strategy. obective 6 Sustainable design and renewable energy. These are some illustrations of the plans for the Pier Head site which are in early stage discussion with PDC. Plans will not be submitted for formal scrutiny until the recommendation of planning officers has been obtained. The two Pavilion-style buildings sit on a stone podium to allow for sea level change.The architect's theme is a decaying headland similar to Old Harry's Rocks. I think if you click on the images you can take a closer look. It's flats/offices above commercial units. 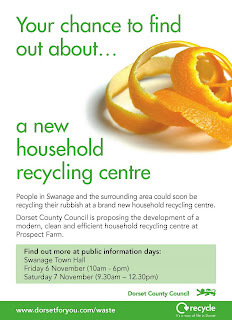 You can see proposals for the proposed Household Recycling Centre at Prospect Business Park this Friday and Saturday morning (6th/7th Nov) at Swanage Town Hall. 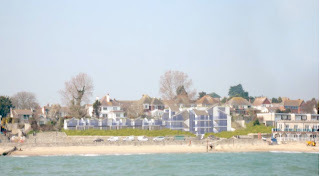 Has there been any news about how Swanage Town Council has, or will, invest or spend the windfall of 7.25 million pounds from the sale of Swanage Bay View Holiday Park? If not, do our bloggers think that the Council must be transparent about this, or is this privileged information (leaving us to trust the oversight carried out by the District Auditor)? The discussions with DCC about options for a secondary school are ongoing. DCC are very negative in their language and approach, and essentially they don't want to spend any money (if they have any to spend, which they say they do) but there are interesting developments and the more negative they become the more it seems to be in desperation to prevent a momentum building around the town which might make them do something visionary. A broad curriculum is an issue which we need further expert advice on, but the experts we have spoken to already tell us it's all doable with a little imagination and some timetabling software. Maybe I'm just being overly positive, but why be anything else? Lots of info on there to digest, and as we gather it in we'll be publishing more. Council secrets and meeting minutes. 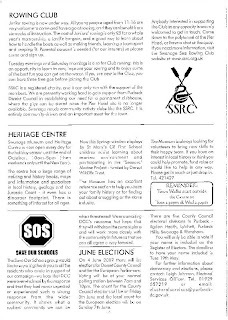 With reference to “Council Member has breached the embargo on all official communications about the sale of the Park, imposed by the Town Council and Clerk.” in the Swanage bay view topic. 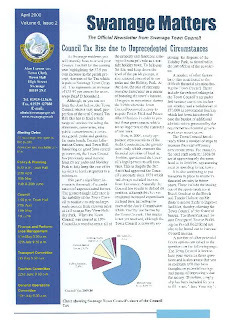 In many of the council meeting minutes entire sections are not added due to “confidential” discussions.Why do the council need to keep secrets from the rest of the town and all the people who pay their wages?Are there a lot of underhand or illegal dealings going on which involve the council or town clerk like signing things they shouldn’t or backhanders going on, or are they worried that if we all knew how they “manage” the town they would all be kicked out and replaced? What is The Purbeck Society? How do you join, what does it do, how many members does it have? Perhaps we euro sceptics here are not alone. Planning Purbeck’s Future, the latest stage of the Core Strategy is being published for public consultation. This document includes policies for protection of the environment and sets out where new development, including housing, retail and employment, will be located over the next 20 years. It also includes policies to manage development. The consultation period will commence on Monday, 7 September 2009 and will run for a period of eight weeks closing on Friday, 30 October 2009. In addition to the main report, a leaflet and questionnaire will be delivered to every home or business during September. All documents are available electronically on the Council’s website. 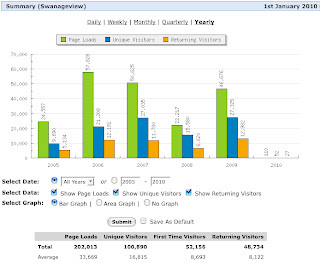 There is also a web forum to encourage debate on the proposals. Paper copies are available in the District Council Offices and local Libraries.You can also respond using the response form that can be downloaded off the Council’s website. Swanage Town Council has announced the sale of its 300 unit luxury caravan park and holiday complex to the Darwin Leisure Property Fund for a capital receipt of £7.25m. The deal includes revenue income of an annual ground rent of £30,000 for the life of the 105 year lease term. On behalf of Darwin Victoria Brannen CIO, commented that “Darwin look forward to expanding their existing holiday park portfolio with the purchase of Swanage Bay View and implementing their business strategy, which will continue to operate and develop the park as a desirable holiday home location on the Dorset coast, whilst improving facilities that benefit not just the park owners but also members of the local community and support the town’s economy”. Alan Leeson, Town Clerk and Financial Officer explains “by eliminating caravan sales from the Council’s activities we shall now be able to forecast future income with greater certainty. In order to keep the council tax precept to a minimum, the Council will now be considering its investment strategy in order to ensure that alternative sources of income are maximised”. Both parties are now moving towards completion and handover on 15th October 2009. I just wondered why neither the local advertiser or the local gazzete picked up on the recent story of a Swanage drug dealer going to prison. Was this due to them not wanting people to think Swanage has a drug scene? or was it for some other strange reason. South Dorset UKIP are holding a 'Mad hatters tea party' starting 2pm on Saturday the 29th of August at Albany house, Kingston Lane, Worth Matravers. Do I detect a sense of irony? Does anyone else think there needs to be clearer give way signs and road markings from Rempstone Road into Station Road. Yet again today someone pushing their way in from Rempstone road nearly hit a car which had right of way coming from Kings Road as they drove into Station road without bothering to slow down as they failed to give way! Affordable housing back on the agenda. Good luck to Worth. Is the Council about to announce the sale of Swanage Bay View Holiday Park? There was an extraordinary meeting of the Town Council on Aug. 10th to discuss changes to the contract....has the deal reached its conclusion? 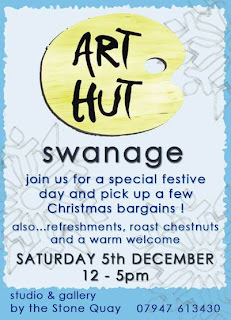 What will it provide for the people of Swanage? webcams, purely for promotional purposes. costs round about £200 and has to be replaced every couple of years. potential visitors how good the weather is, when the forecast is lousy. Here is a suggestion for Swanage. Its not original, its something they do in a place called Tiburon in California which is a tourist town a little smaller than Swanage. Quoting Wikipedia: "On Friday evenings in the spring and summer, the town's Main Street is closed to vehicles and transformed into a large alfresco dining area for "Friday Nights on Main". Local restaurants and bars provide outdoor dining and drinks, with music and lively crowds helping create a festive atmosphere." This is something we could do in the High Street. I know we have the odd shower here but most summer evenings are dry. The oyster bar shows what can be done. Surely it is something that can be built on. We already have lots of people sitting at the tables outside the fish plaice and on benches eating fish and chips and enjoying the alfresco experience so why not offer curry, chinese food, pizzas etc on the street as well. a fairly new and good quality mattress? 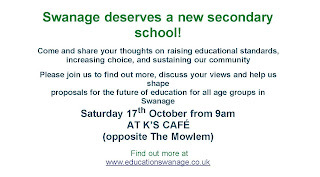 The schools and residents of Swanage have managed to get more consultation on how two-tier education will work in the town. But this does not have to be limited to primary schools. Swanage should get a new secondary school rather than bussing over 700 children from the area to Wareham every day. We are the ONLY town in Dorset not to have a secondary school (except for new town Verwood) but we have enough children to fill one. 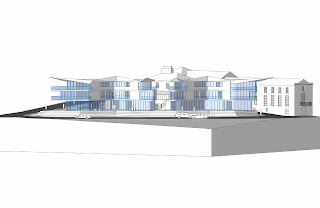 The Purbeck School will soon take 1750 children - making it enormous - bigger than 97 per cent of secondary schools in the country - most are half that size. Do we want children to go from tiny village schools to a huge comp split over two sites in Wareham? Why can't one of the sites be here? The town lost its two secondary schools by one vote in 1974. This is a chance to put it right. We could get adult education and sports facilities at the same time, plus all the benefits of after-school activities and better parental involvement. Jim Knight agrees, Bill Trite agrees, the main Conservative party agree and say that communities should have their own schools. Only Dorset CC want to deny us the right to have this choice. Whose idea was it to have the path on the Downs resurfaced two days before the kids break up from school? 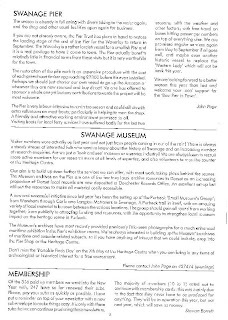 Are you missing your Swanage Advertiser lately? 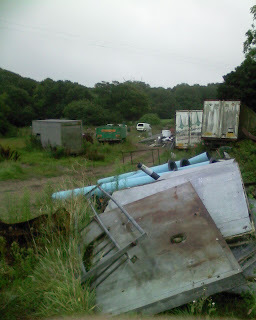 It seems they've stopped delivering to parts of North Swanage and Durlston. Anybody else not getting a copy? For One Short Moment Forget The Expenses Debacle. In the midst of all the justified furore of our once honourable members, I wish to pause to look at the mess 12 years of Labour lack of governance has brought us. Education an utter shambles, hospitals no better than untold billions of wasted cash, police thuggish and politicised, a disgraced speaker still lauded as he is forced to quit. Our secret services and armed forces strapped for cash, a public transport like a "Carry On" film and our roads so badly maintained they kill untold thousands a year. We have a State Broadcaster who now makes The USSR Pravda look amateurs, we have laws forced upon us by a crowd of unelected EU Commissioners aided and abetted by an expenses culture Parliament, that puts our fraudsters in the bottom half of the Conference League. At the head of this unmitigated disaster sits a man who picks his nose in public, is as nasty to his own party non-believers as he is to the rest of us doubters of his sanity. You might care to add your own list of failure and incompetence. 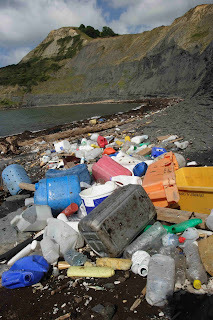 So amongst this shambles and wreckage of out Country Jimmy Brown "carries on" regardless. The Speaker, Labours' own place man, is forced to leave in shame. His ministers more singly corrupt than the rest of The House put together, remain intact and rich beyond most peoples' dreams. What has the great man have to say? "Mr Brown again resisted calls for an early general election saying the crisis was not about government but about the system and it was reforming the system that would solve the problem." Translation, "Nothing to do with me Guv." So was the system created in America? Did he change the system over the last 12 years? You bet he did. Well if these revelations of collective greed, neglect and utter arrogance and incompetence fail to force an election what will it take? For sure the real economic tsunami has not yet reached beyond the beach. That will hit around October. We should take heed and vote Labour into oblivion, or else face further destruction. PEAT on the SCREEN ! 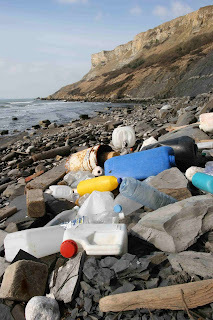 Please support this active local group that are making a positive change for Purbeck. We are happy to offer our support to other groups too. PEAT (Purbeck Environment Action Team) is hitting the screens and putting on the following series of FREE environmental film and documentary showings all across Purbeck in May and June..Please come along for a fun and interesting evening out. **Saturday 6th June – 7 pm – Power of Community – At Corfe Castle Village Hall. Guest speaker Andy McKee. PEAT is a local group of like-minded individuals working towards sustainability in Purbeck. 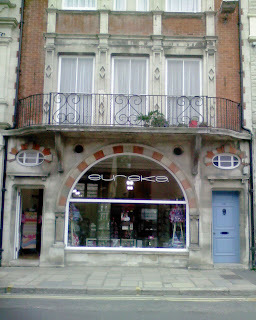 The group formed in June 2006 to focus on how Purbeck can play its part to combat climate change. They encourage “living lightly” and sharing the Earth’s resources fairly and are supported by DA21 (formally Dorset Agenda 21). PEAT has grown from strength to strength following the success of the “PEAT on the Street” day in September last year where the group took over the streets of Wareham to highlight ways of living sustainably and to celebrate the natural wonder of the local area. PEAT is now focusing on moving towards Transition Purbeck. Transition Purbeck joins other Transition initiatives locally and worldwide. The main aim of the Transition initiative is for local communities to become sustainable and self-sufficient. The first step on this exciting and necessary journey is to raise awareness of peak oil and the cause and effect of climate change on a local and global level. A new poster is appearing in the shop windows of Swanage, dedicated to local Live Music. It shows who's playing where and when during May. If you wish to see your Live Music event listed in the June issue, or you wish to advertise, please contact me. Thank you. The 2009 Parish Assembly will be held at the Bayview Caravan Park at 7.00pm on Weds 6th May. WEDNESDAY, 7th MAY 2008 at 7 o’clock p.m.
Councillor Gary Suttle, Town Mayor, was in the Chair, and, in addition to members of the Council and officials, 34 persons were present. Before the commencement of the Meeting, the Clerk outlined the procedure that would be followed during the Meeting. All registered electors in attendance had been issued with blue cards, and other interested parties (not on the electoral register) were allowed to attend the Meeting at the Chairman’s discretion. Apologies for their inability to attend the Meeting were received from Councillors Audley, Bright, Gloyn-Cox and Pratt, and Mr. J. Wootton. The Minutes of the Parish Meeting held on 21st May 2007 were approved as a correct record and signed. (Copies of the Minutes were circulated to those present at the Meeting). 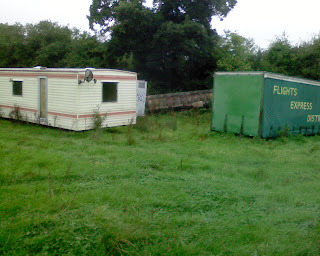 MR. P. CLARK enquired when the Public Report on the Bay View Holiday Park would be published. 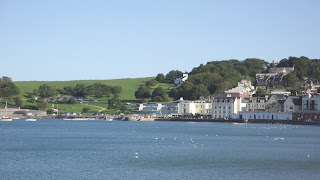 He was informed that the Options Appraisal was almost completed and that a Report would be included in the next edition of “Swanage Matters” which would be published shortly. MR. P. CLARK then referred to Page 3 of the Minutes and enquired whether the Council’s management accounts were being produced on a monthly basis, in keeping with “best practice” procedures adopted elsewhere. He also enquired whether it was the Town Council’s intention to appoint a CIPFA qualified accountant. The TOWN MAYOR confirmed that the management accounts were presented to the Council on a regular monthly basis. Consideration had been given to the appointment of a CIPFA qualified accountant, but having regard to the Council’s limited financial resources, negotiations were currently being undertaken with Poole Borough Council for the provision of accountancy services on a consultancy basis. MR. FOOKS referred to the piece of land adjoining Day’s Park (approximately 1/3rd of an acre) and maintenance work that had recently been carried out in this area. He requested that this area be included within the Council’s regular maintenance programme, and enquired whether the land is designated as being within an area of outstanding natural beauty. He was assured that his request would be referred to the Council’s Operations Manager. The land was not specifically designated as being within an area of outstanding natural beauty. The Mayor then opened the Meeting for general discussion, and invited questions and comments from the audience. COUNCILLOR M. HADLEY requested that the Minutes of the Annual Parish Assembly be made available as soon as possible after the Meeting. MR. I. SAUNDERS referred to income received by the De Moulham Trust and expressed the opinion that monies should be made available from this source for the maintenance of the service roads within the De Moulham Estate, as a matter of priority. COL. SQUIRREL drew attention to the termination of the lease of the Mowlem restaurant and bars with Badger Breweries. He was anxious that this tenancy should not affect the future of the theatre, which should be secured for the benefit of the residents of Swanage, and suggested that the Town Council considers sponsorship of the theatre if the Trust is unable to secure a suitable tenant. The TOWN MAYOR welcomed representatives from Dorset Police and introduced Inspector Ashley Adams, the Section Commander for Purbeck. MR. I. MACKENZIE expressed his concern regarding the stability of the wall on the western side of Shore Road in the vicinity of Battlegate toilets and enquired whether responsibility for the wall had been established. He also enquired when the pedestrian crossing would be re-instated as he was concerned for the safety of pedestrians with the approach of the busy summer season. He was informed that the ownership/responsibility for the wall was being researched by both Purbeck District Council and Dorset County Council but no clear ownership had been established at the present time. 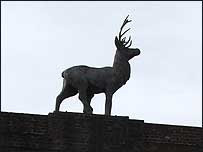 COUNTY COUNCILLOR DONALD HIETT gave an assurance that he would pursue the re-instatement of the pedestrian crossing with Dorset County Council as a matter of urgency. report on the matter from Purbeck District Council. This proposition was seconded by MR. I. MACKENZIE and RESOLVED. MR. D. SPINDLER enquired as to the ownership of the former Grammar School building, which he understood had recently changed hands. He was informed that the Council was also aware of this rumour, but had no further information on the matter. MRS. SPINDLER was concerned at the total disregard of the speed limits in Northbrook Road by some motorists and requested that action be taken to deter this practice. Her comments were endorsed by MS. P. KEELING who highlighted her concerns at “boy racers” in the High Street. They were advised by Police Officers in attendance at the Meeting, that in certain circumstances a Section 59 Notice could be served on persistent offenders, which may result in the confiscation of the vehicle and a fine of £125 being issued. MR. I. ALLEN reported that the Swanage Town and Community Partnership had made recommendations to Dorset County Council regarding traffic improvements that could be introduced in Swanage, and COUNCILLOR M. HADLEY also reported on traffic issues that were being raised by the Town Council’s Transport Committee. COUNCILLOR HADLEY then referred to the increasing number of vehicles that were parking in the vicinity of the Stone Quay, and expressed his concern for the safety of pedestrians in the area. MR. 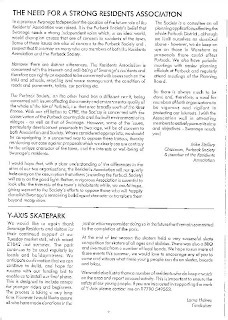 I. SAUNDERS enquired whether the Town Council had made provision for the overnight parking of camper vans in its car parks and was informed that the Council’s Off-Street Parking Order had been amended to allow for the parking of camper vans for one night only in Main Beach and North Beach Car Parks with effect from 1st April 2008. Other traffic issues raised included the proximity of the town centre traffic lights, illegal parking and lack of enforcement, and a request for consideration to be given to the introduction of a ½ hourly parking charge at the Residents’ Car Park. MR. SARGENT, a caravan owner at the Swanage Bay View Holiday Park, referred to the recent resignation of the Tourist Information Centre Manager. He was very appreciative of the services provided by the Tourist Information Centre and enquired whether this worthwhile post would be filled, bearing in mind the current economic climate. The changing requirements of the tourism industry were explained by the TOWN MAYOR and he reported that the future provision of these services were to be considered at a meeting with the Economic Development Officer/Tourism Officer at Purbeck District Council to be held the following day. The next Parish Assembly was scheduled to be held on Wednesday, 6th May 2009 at 7.00 p.m. The meeting concluded at 8.20 p.m. There is a 200 metre-long strip at the start of the High Street in which the nine venues that make up the central core of the event are located. Whenever we walked between pubs the strains of music faded in and out while crowds danced in the street. Gazing up we could even see New Orleans-style architecture to complete the scene! The other venues are not so central and include a huge Victorian hotel towering from the cliffs at one end of the picturesque bay, another hotel that is overshadowed by the incredible Corfe Castle at the end of a steam train ride, and world-famous country pub the Square & Compass, which has a museum and where they bring out the beer from the back room! Send your questions in advance to Rowland Hughes at < rowland@showcad.com > and as many as possible will be put to the candidates. There was a meeting at the Conservative Club on Wednesday 22nd April 2009. As a regular visitor (not a 2nd home owner! ), I would be interested to know whether the refurbishment to the Mowlem has now been completed and whether it has improved significantly. The annual Parish Assembly will be held on Wednesday 6th May at the Bayview Caravan Park at 7pm. 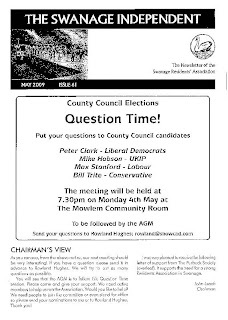 This meeting, open to all residents of Swanage, is a forum to raise and debate any issues of concern or interest. A key point to note is that there is no time limit for 'public participation', as at normal council meetings. Also, if a vote is taken to address a particular issue, the council must then debate the matter at an early subsequent meeting. An absent minded driver was left red-faced when his car rolled off a ferry slipway and into the sea in Dorset. Emergency services were alerted when passers-by saw a partially submerged car at Sandbanks, Poole, at 0812 BST. When a lifeboat crew arrived they were met by the driver of the Smart car coupe who had left his vehicle on the slipway before wandering off. The man said he had used the handbrake, and confirmed to police no-one was in the car. The car has not been found. Lifeboats could not locate the vehicle, and believe it was swept out to sea partially submerged. A lifeboat spokeswoman said the car had entered the water from the north side of the chain ferry crossing at Sandbanks which links Poole with Studland. "A volunteer crew arrived on scene expecting the worse preparing to search for a body when the driver of the car appeared on the chain ferry slipway. "It appears he left the car to go to the shop or loo and the car rolled into the water," she added. Dorset Police were alerted when the partially submerged vehicle was spotted floating past the Haven Hotel. What is the latest news for the Drummond Road planning application?